Usability has quickly become one of the most popular subsystems on the Baja Team. After driver training and Midnight Mayhem, several of our new members already had ideas for improving the car, and the most common opinion was that we needed to improve the steering and driver interface. Several new members have already started honing their FEA skills by working on analyzing our new brake rotor designs. Since many of the usability components make great first-year projects, Marial has been keeping our new members busy. After practicing doing analysis, our new members helped Marial create a handful of different brake rotor designs. 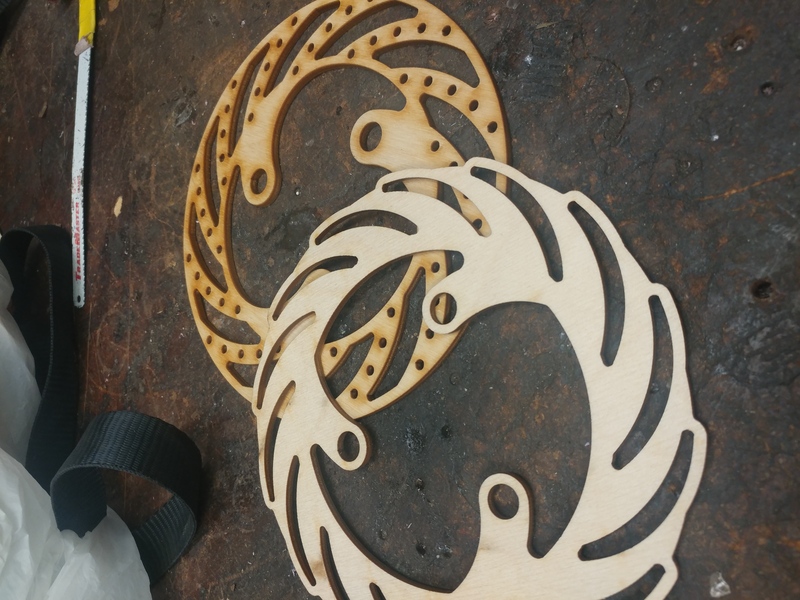 As the picture shows, we’ve already cut a few prototypes out of wood, and we are going to be making a few metal brake rotors in the near future. Thanks to our awesome waterjet and laserjet sponsor, Paragon Steel Rule Dies, we are going to be able to quickly manufacture several of our new designs, including those done by our new members! Throughout the season, we hope to keep using the help of our sponsors, like Paragon, to be able to design, test, and iterate upon more designs than ever before. Finally, some of our new members have already started working on this year’s pedal design. 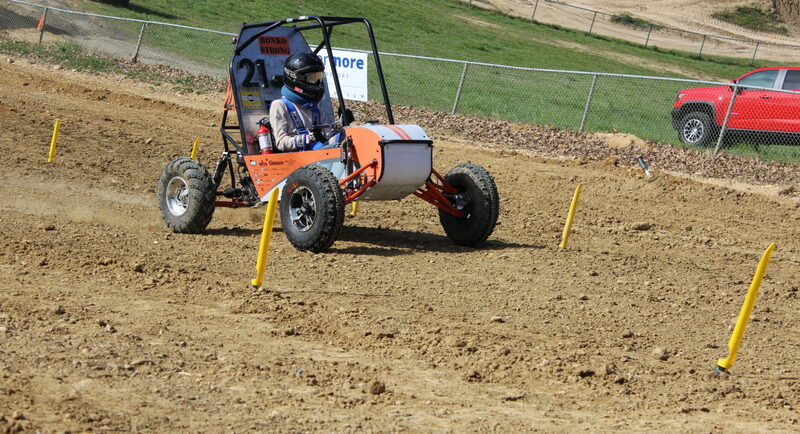 One new member in particular, Scott Smith, has already completed his first iteration of the gas pedal. Sometime soon we will be 3D printing his design to see how it feels in real life as opposed to on the computer screen. While we are still iterating on our usability subsystem designs, one thing is for sure, we are going to have a very comfortable interface for the driver this season.